Congratulations to Golden Globe Winner Frozen! 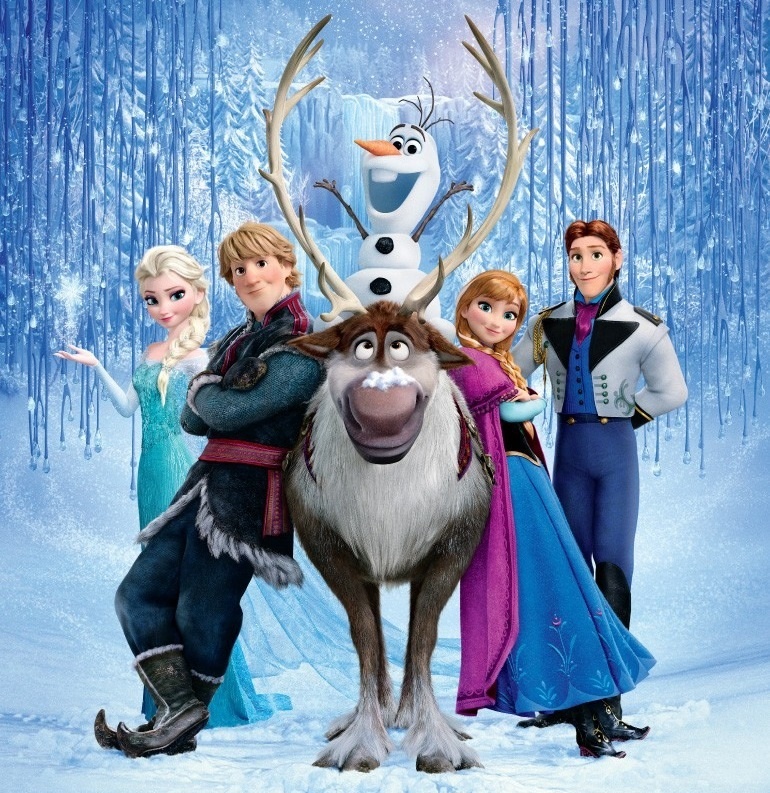 At the Sunday night 71st Golden Globe Awards, Disney’s Frozen was up for two awards: Best Song and Best Animated Film. Coldplay’s “Atlas” from The Hunger Games: Catching Fire. Now, me being me, I was sitting on my couch rooting for Frozen to win. Not just because the song has every single element that you want a “Best Song” to have, (including the last, amazingly strong and top-of-your-lungs note!) but because the video alone on youtube received 36 million views! I thought that kind of popularity would account for something. Wow! That’s a lot of views! And no offense to U2, who won for the category, but I have heard the song. And honestly, meh. I appreciate the history behind the song, combined with the fact that the late Nelson Mandela was a muse for the band. So I can understand why when that is taken into consideration, they won. The night went on, and I’ll admit that I had other motives for watching besides seeing how Frozen did. And his name is Leonardo DiCaprio. But enough of that, this is a Disney blog. Anyways. Frozen was also nominated for Best Animated Feature. They were up against Despicable Me 2 and The Croods. Now, I have seen all three of them. I enjoyed Despicable Me 2, although I probably wouldn’t watch it again. It felt like… well, a sequel I suppose. And The Croods entertained me while I watched the movie, but once it was over, I kind of shrugged and forgot about it until it was mentioned again Sunday night. But Frozen – oh yeah! The movie has everything. I knew they were going to win, I mean come on, it’s probably one of the best movies of 2013 in general! Below, Directors Chris Buck and Jennifer Lee accepted the award on behalf of the Walt Disney Studios.